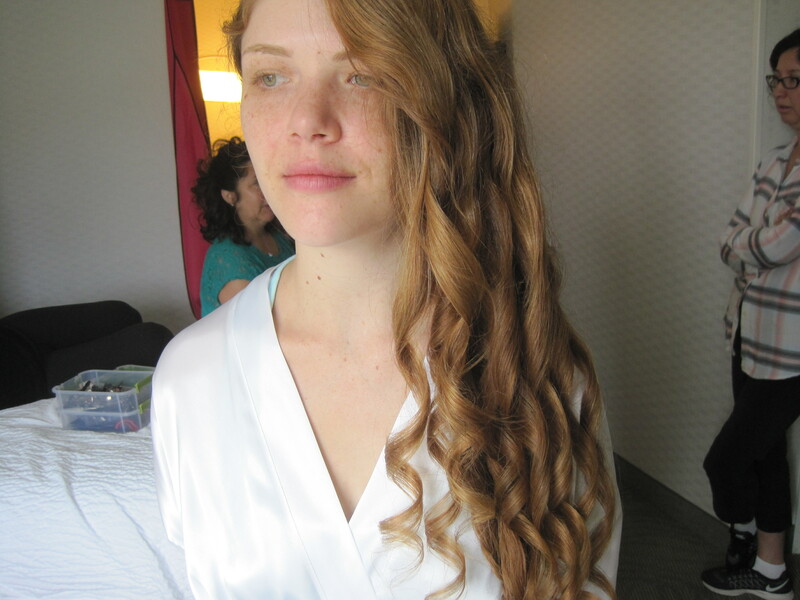 One of the sweetest clients I’ve had, Emily has very long, thick red hair. It’s so beautiful, but neither of us were too sure at first what we wanted to do with it. 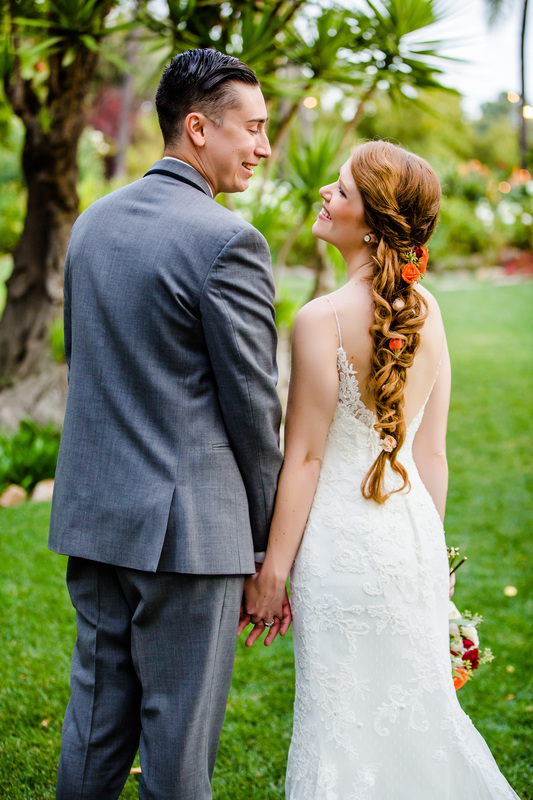 After going back and forth a bit, we decided together that a beautiful side braid would be the best option for the type of hair that she had. 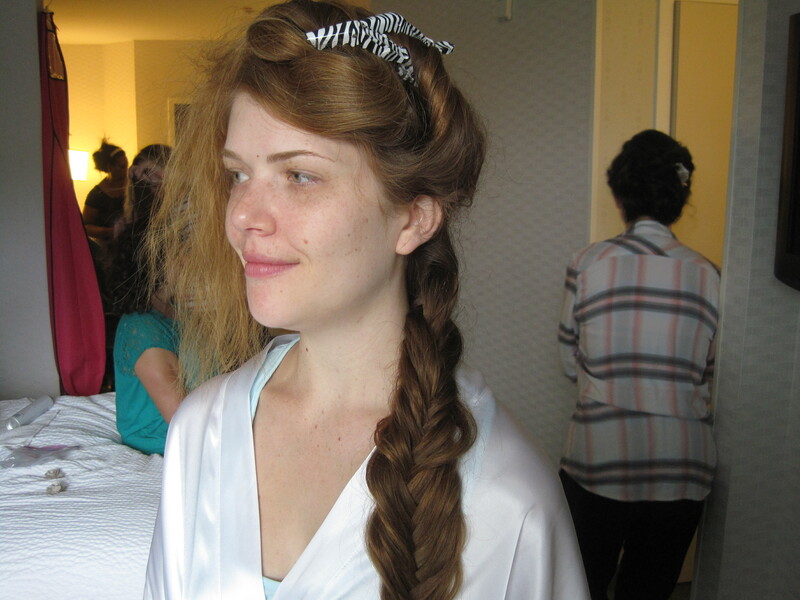 For added drama, I thought adding curls within the braid would make it even more beautiful. 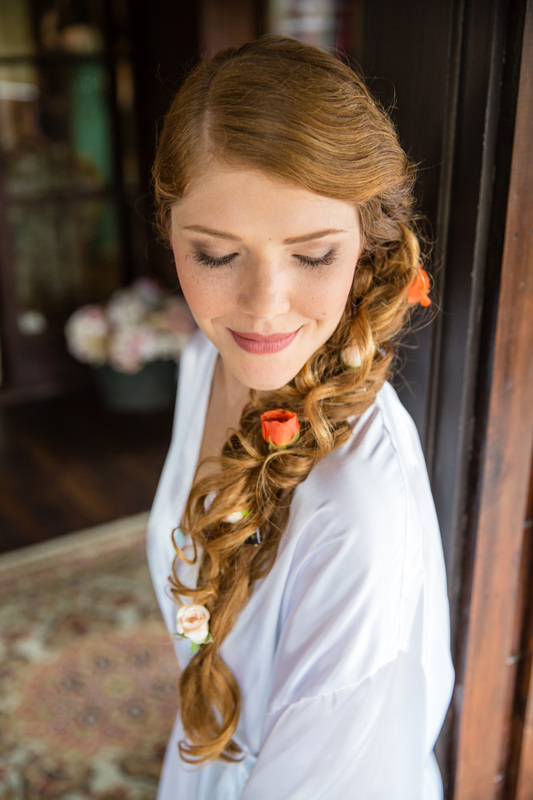 We would then interweave all of the braids and curls to give her a truly unique and gorgeous hairstyle for her wedding day. would look more effortless and voluminous, and then I moved on to the last section of hair. 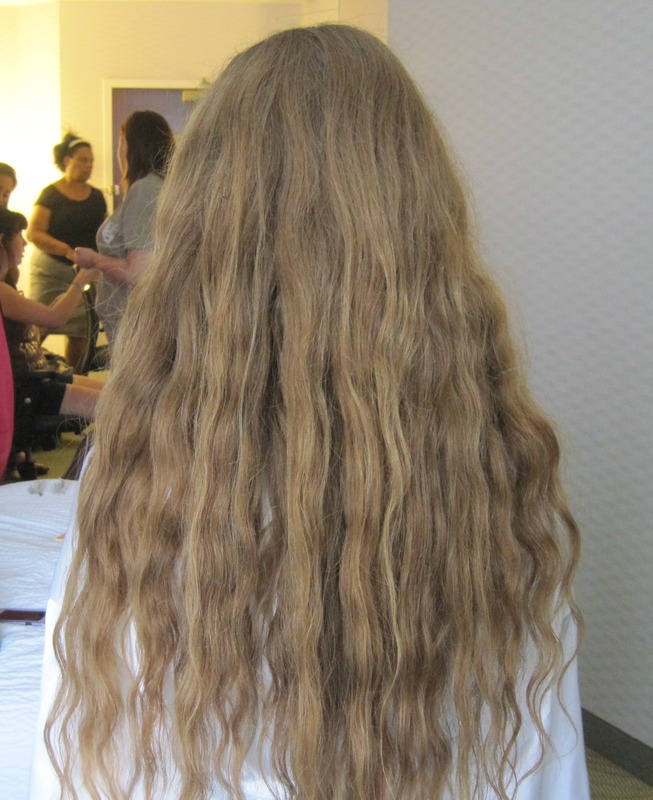 This fourth section was all curls; these would be the more loosely flowing pieces that would pull the whole look together and create the whole “weaving” effect. 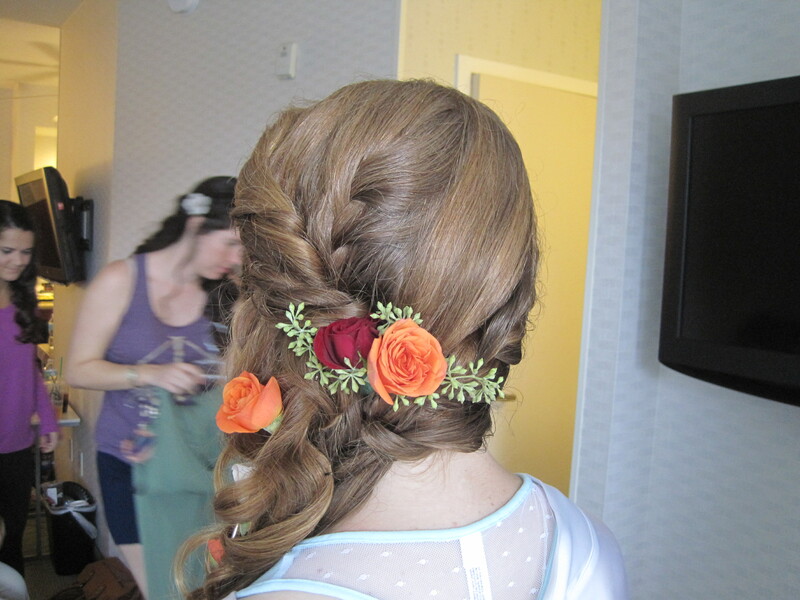 We thought that placing flowers throughout the braid would tie in beautifully to her bouquet, so we adding that in last as the perfect accent. We think it turned out amazing!